Firstly I would like to thank Daniel for passing this sample on to me for review, the sample came from IMR themselves. They have received well over 50hrs of burn-in as is suggested. The R1 come in a simple box, it is black and red with the company name on the front. I have been told the packaging may change in the future, but as is it is a fairly standard affair with specifications listed on the back. Slide the outer sleeve off and you will find the R1 held tightly in place in a foam insert, the carry case is held in a similar fashion as are all the rest of the accessories. For the price the packaging is not luxurious, but it is compact and serves its purpose. 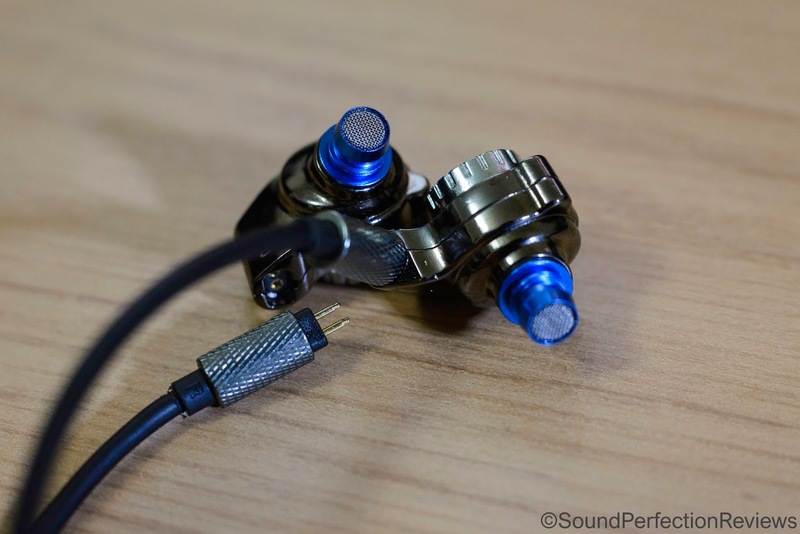 The R1 are well built, the housings are metal and well finished with a 2-pin detachable cable. 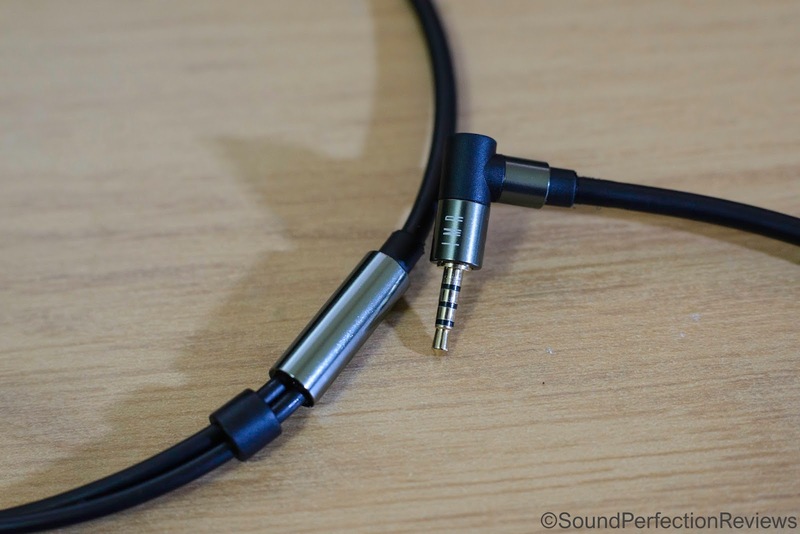 The cable socket is mounted horizontally instead of vertically like most IEM's, so cables with a moulded ear hook will not fit very well. The dials to change between open and closed vents on the back move fairly easily, they could be a little tighter to avoid accidental adjustment upon insertion. The cable is rubbery with good strain relief, out of the box it takes a little time for the cable to keep its shape behind your ear, but it's not a big issue. The nozzle filters have a good size thread and screw in tightly, it is well implemented. The different shades of metal of the housing don't scream high-end, but overall they feel like they will last a while. 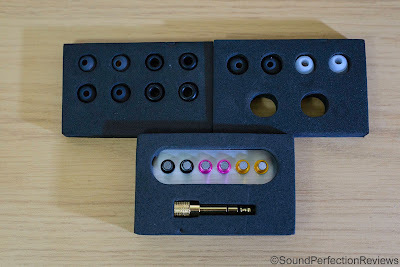 Accessory wise you get the filters which are screwed into a block of aluminium, a 3.5 to 6.3mm adaptor, a semi hardshell carry case, 2 cables (one 3.5mm, one 2.5mm balanced), regular single flange tips in S, M and L, a pair of M bi-flange tips, and 2 pairs of foam tips S, L. Overall you get a fair amount of accessories, and I can't think of anything else that could be included. The R1 are an odd shape, but once you find the right tip they are comfortable over longer periods of time. the housings are metal so a little heavier than most standard IEM's, however I don't find them falling out of my ears, the cable is soft enough to not be a problem during use. Isolation is good, both with the vents open and close the isolation is roughly the same in my opinion. They drown out a fair amount of outside noise, and would be fine for day to day use, but not the best in noisy environments. Driver flex is sometimes an issue, I found it more of an issue with some tips over other, so be sure to experiment. The driver flex is quite bad, but tends to only present itself upon initial insertion. Now these come with various filters, so I'll write a little summary on each filter. They also have the open/closed vent option, however I did not find this to make a huge difference so I left them open (closed has slightly bigger mid-bass impact, open offers a slightly wider soundstage). The black filters give these a fun but slightly L-shaped sound signature, the bass is big and full bodied, with incredible sub-bass presence. 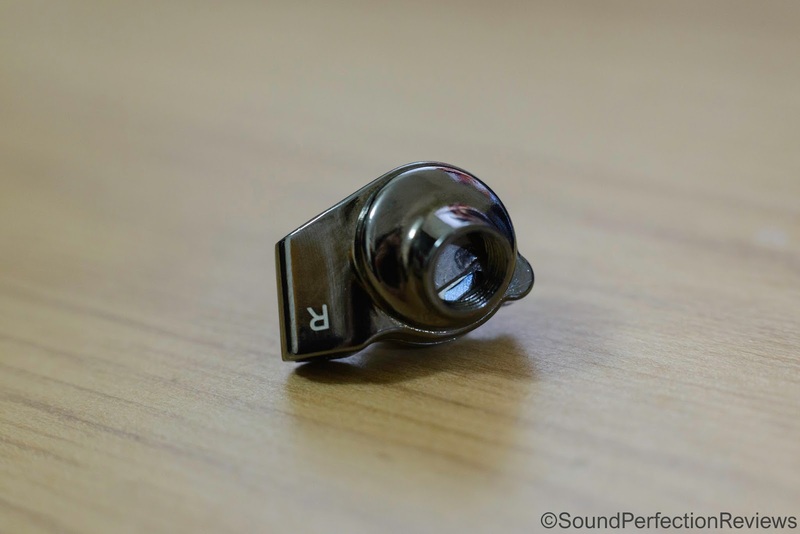 The midrange is pushed back somewhat, and does not allow the finer details of recordings to shine through properly. The highs are not exactly recessed, but they are controlled and never overly bright or in your face. The lows carry real power with these, feeling the impact along with hearing it, the midrange lacks a little definition with the black filters and the highs ultimately lack a little air and separation up top. 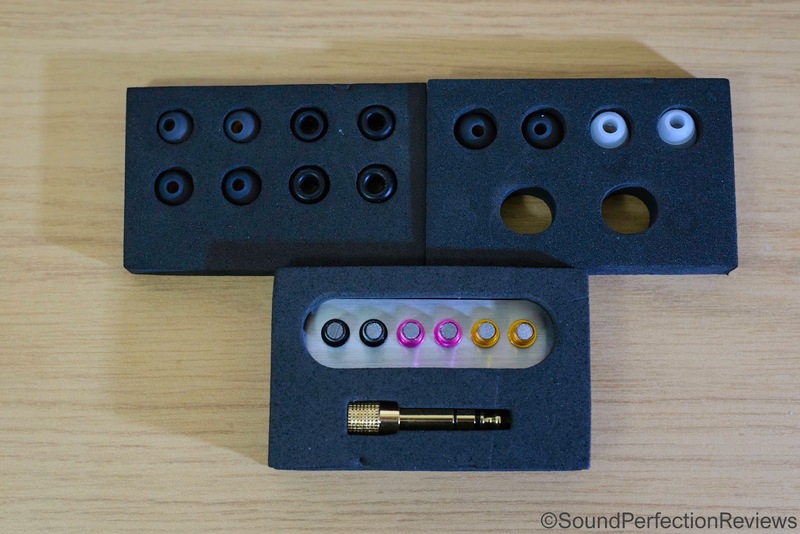 The black filters are great for those looking for an engaging, powerful and fun sound signature and these sound very good with the black filters. Micro detail retrieval is good but these are more about having fun and letting go of technicalities and just enjoying the sound, and that they do very well with excellent extension on each end and great coherency. With the pink filters, the bass is a little more controlled than the black, having a little less body and quantity. The lows still extend well into the sub-bass but kicks are a little more subdued, and they are not as lively and as fun. With the pink filters, the mids gain little clarity and sound a little less full, but the highs are still lacking a little air and openness that leads the pink filters to sound a little odd. 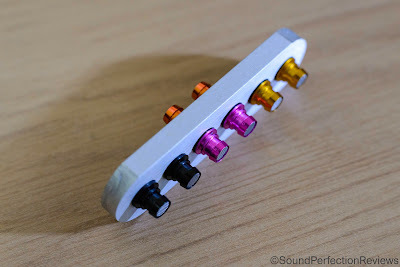 There is a narrow band in the midrange that is more prominent than the rest of the sound, by controlling the bass, the midrange is a little cleaner but the balance of the sound is all off and overall I don't like this tuning as much. Bass, Bass and more bass, these are the ones for the real bass heads out there. They offer plenty of punch and articulation but the lows mask the rest of the sound, making them sound a little muddy overall. Again I am impressed by the power down low, and female vocals still come across with fairly good presence but the lower midrange is masked and the highs are rolled off. The sound is very smooth with these filters, but again way too much bass for most people. The lows are much more balanced here, the upper midrange seems a little forward with these filters. These is still excellent extension down low but the lows are much more controlled, this allows the midrange to shine through. The midrange has great clarity and detail retrieval with the orange filters, the bass no longer comes in and overpowers them. The tonality of the midrange is erring on the colder/analytical side of sound, but they never become harsh or fatiguing. The highs are lightly rolled off, this leads to a fatigue free listen, but one that has a slight focus on the midrange. Overall the orange filters sound very good, with a slightly mid-forward sound but one that still has excellent extension down low just with a bit more control, and lightly rolled off highs. 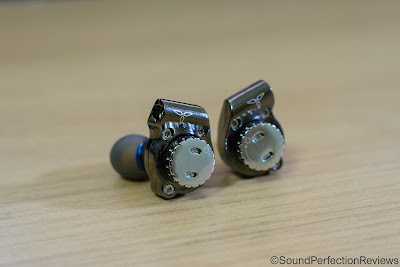 Now these hit the spot in terms of balanced sound without anything sticking out too much or being too emphasized. 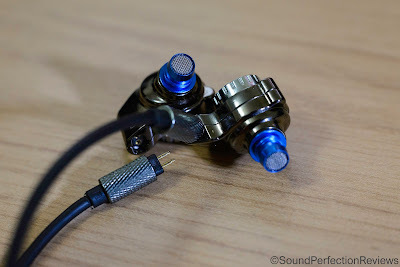 There is excellent clarity across the board with the blue filters, there is no real mid-bass hump like with a few of the other filters, but there is still fairly strong sub-bass presence. The lower midrange is no longer shadowed by the lows, the highs are present and extend with ease and they sound quite coherent and natural. 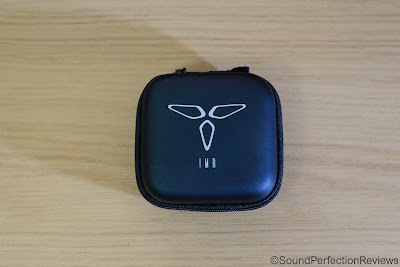 The sound is still powerful and engaging, and not a laid back and smooth sound. The blue filters to my ears allow the most detail to come through and there are plenty of moments where you hear subtle details in the recording with these. With open vents the soundstage is fairly wide, and there is good air around instruments, of course this also depends on the filters, the Black, Blue and Orange having the most air, with the Pink and Copper being more closed in. Instrument separation is very good overall, and they have good PRAT allowing even faster mixes to be easily picked apart. 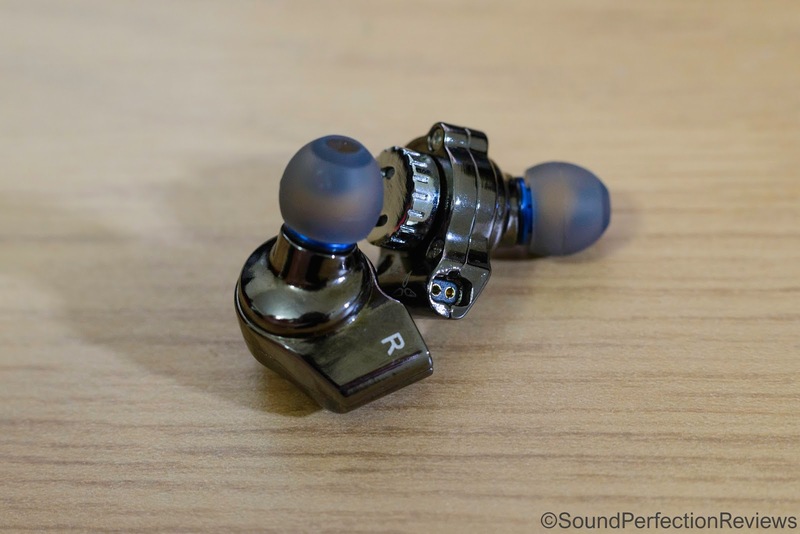 What is very impressive about the R1 is the detail retrieval with all the filters, these have the ability to pick out detail the other IEM's around this price range struggle to. 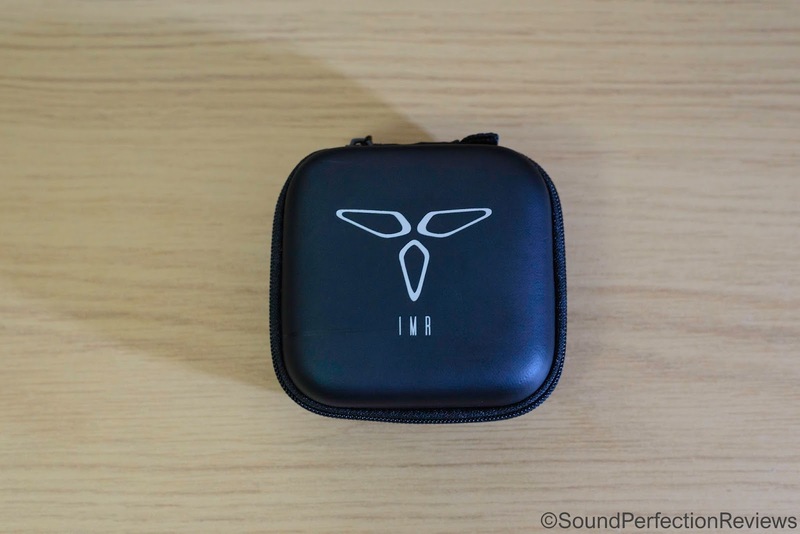 These are a very fun IEM but they are backed up by incredible detail and control, few other headphones give you this technical performance coupled with a fun sound. £500 is not cheap for an IEM, especially since you can get the excellent Dunu DK-3001 for the same price. But with the R1 you can change the sound signature with the filters, and the differences between them are big. The stock Black filters are superb for an engaging and super fun on the go IEM, with the Blue having a more neutral but still engaging sound. The R1 is a great first product from IMR, and I am really interested to see where they go from here. As they stand, if you want a fun sounding IEM, then you need to check out the R1 as I don't think you'll find an IEM that is this powerful and enjoyable at this price. If you want a more neutral and smoother sounding IEM, then I suggest looking elsewhere. These will get your feet tapping, that's for sure.